PLANO, Texas, Aug. 18, 2015 /PRNewswire/ — WorldVentures™, the leading international direct seller of vacation club memberships, ranked No. 915 in Inc. magazine’s 34th annual Inc. 5000, an exclusive ranking of America’s fastest-growing private companies. 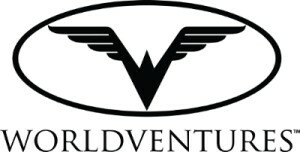 WorldVentures received its ranking based on growth of 491% in the past three years. Be the first to comment on "WorldVentures Once Again Recognized as an Inc. 5000 Fastest-growing Private Company"